The pace of evolution in electric vehicles is rapid. Less than a decade ago, most were either low-volume, hand-built cars, or quirky short-range city runabouts. As battery ranges have grown, and vehicle choice has expanded, they’ve become less extraordinary to live with, and less extraordinary to look at, too. Which can only be a good thing. While it might not look it at first, that’s even trickled down to the Smart line-up. The third generation of the Daimler subsidiary’s electric offering can now have four seats, for example. 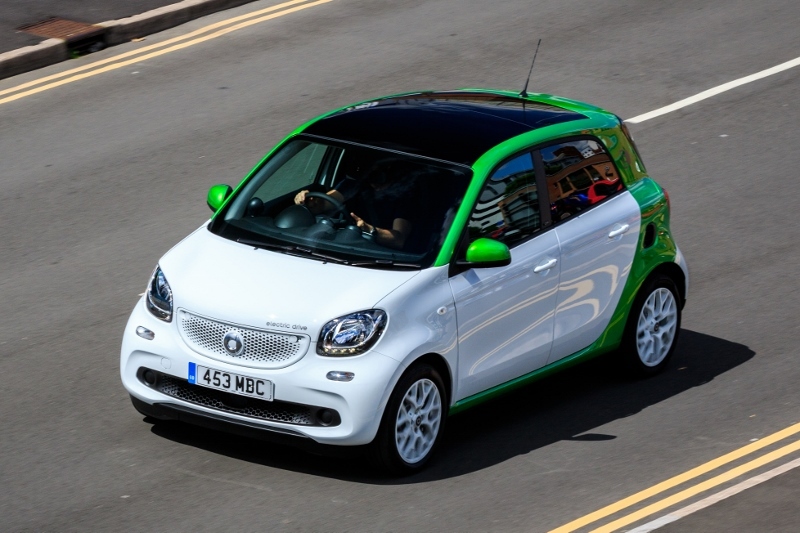 It’s more powerful, goes a little further, and although the lurid green panels are still optional, there’s a choice of more sedate hues for those who don’t want to shout about their eco credentials. In theory, this is a segment ideally suited to electrification, at least with the constraints of today battery technology, covering mainly short trips in areas of poor air quality. But those constraints also include a price penalty, which curbs the financial sense it can make to opt out of a petrol version. That’s likely to be a contributing factor behind the Renault Twingo not being offered in Z.E. guise, while the platform-shared Smart products can absorb it into a premium-brand price tag. Even with the £4,500 Plug-in Car Grant, and there’s almost a £2,000 price difference between equivalent petrol and electric versions of the ForFour, which is already not a cheap city car. Though, for drivers, the Benefit-in-Kind advantage for going electric just about offsets the sizeable P11d gap between the two over the next three years. It’s a neat conversion; the 80bhp motor is under the boot and drives the rear wheels, supplied with energy from a 17.6kWh battery beneath the cabin, now developed in-house rather than sourced through Tesla as the old was ones. 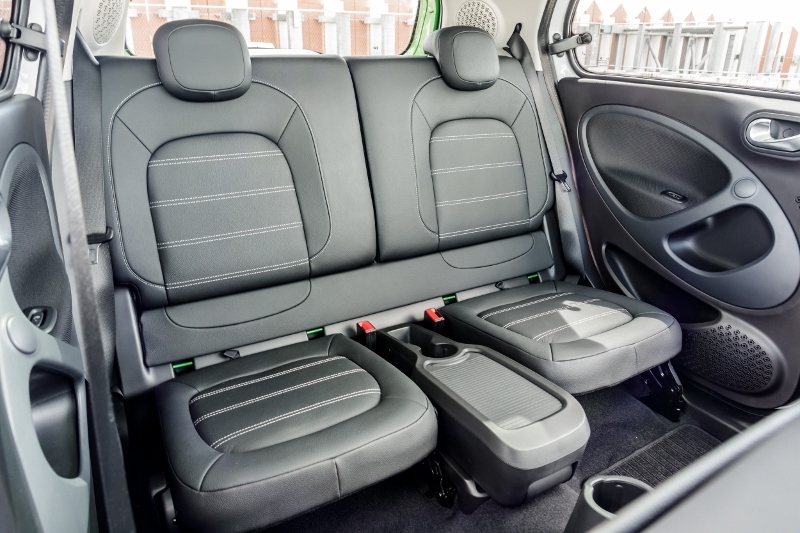 There’s no loss of load space, aside from the bags of charging cables, while the folding passenger seat and clever rotating rear bench are retained from the petrol ForFour. 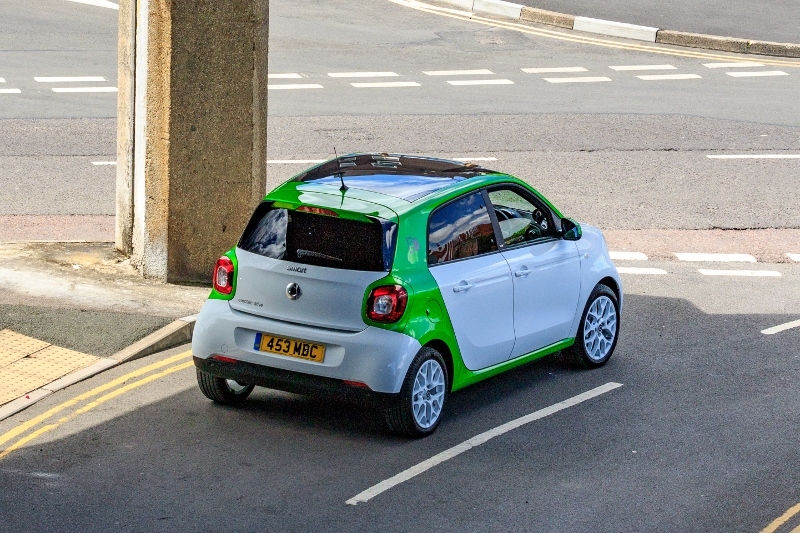 With more power than the larger Renault ZOE, it’s also quite quick. The turning circle, though wider than the petrol version, is still incredibly tight and, with instant torque and only 1,200kg to move around, it’s suited to carving through city traffic. But pick options carefully; large wheels give a particularly fidgety ride around town, and lots of road roar at motorway speeds, exacerbated by the lack of engine noise. On the downside, it’s easy to spot cost-cutting measures. Digital radio is a £195 option, the steering column doesn’t adjust for rake or reach (unlike the petrol ForFour) and charging speeds are low. Rapid charging is arguably a luxury with a small battery, but not having it confines this car to short trips while its key rival, the Volkswagen E-Up, isn’t. A typical range of around 80-90 miles may also limit its appeal. Which makes this a bit of an oddity. 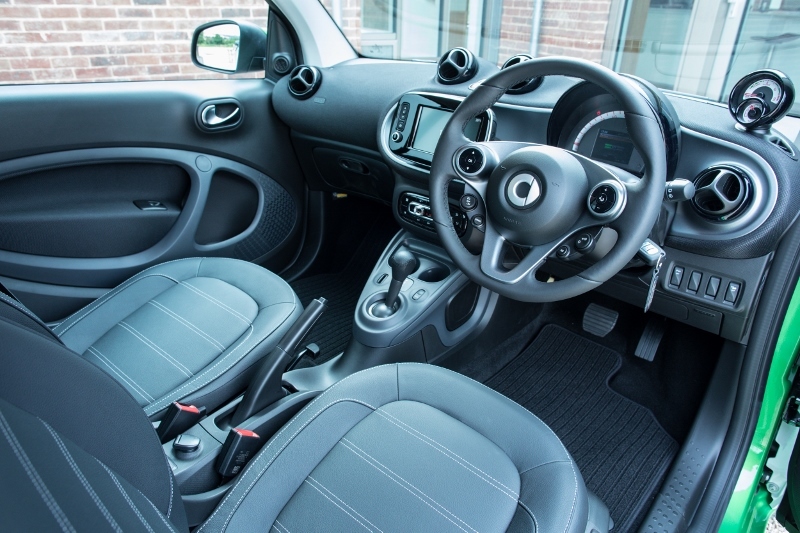 The ForFour feels well suited to urban businesses needing a short-distance runaround, and perhaps for green-minded company car drivers or couriers. But, as clever as it is, there are more versatile options for those looking to switch to electric motoring. 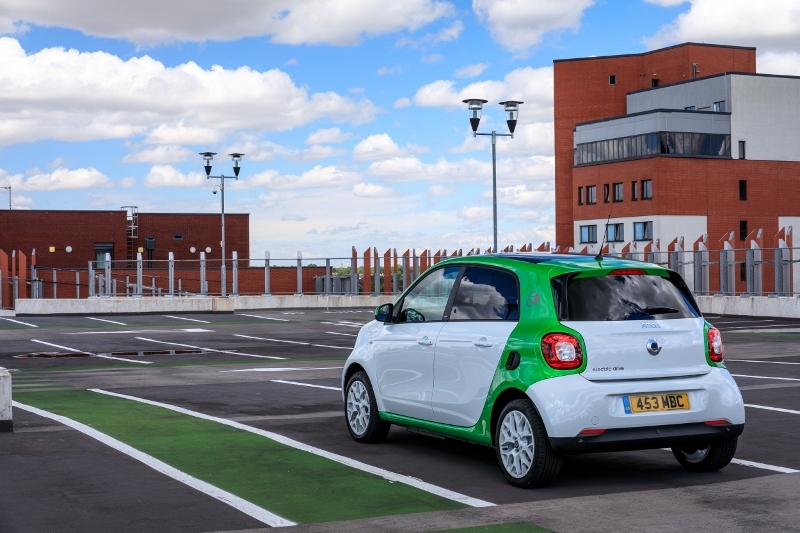 A clever city car that seems ideal for electric power, but the cost of the technology makes this an expensive and compromised alternative to a petrol ForFour and more of an environmental statement than a genuine workhorse. 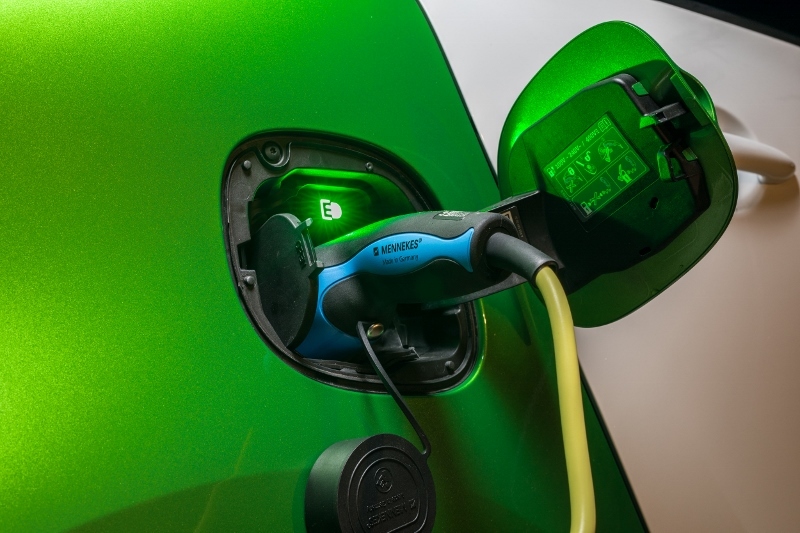 Charging port: Type 2 ACFor more of the latest industry news click here.